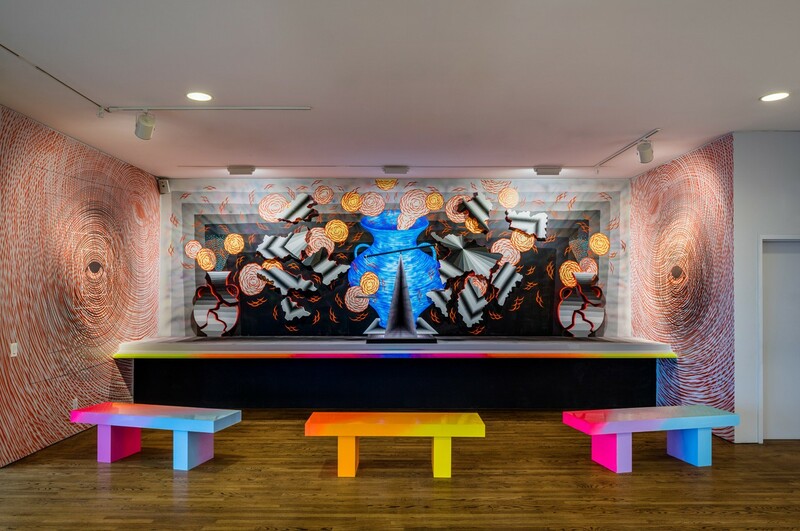 Installation and mural by Andrew Schoultz for the “Vitality and Verve” exhibition at the LBMA during POW! WOW! Long Beach 2015. A collaboration with Thinkspace Gallery.